Karachi: The Institute of Chartered Accountants of Pakistan (ICAP) has drafted its recommendations for government to improve situation in energy sector and have showed its disagreement over the plans to privatize DISCOs at this stage terming it more hazardous if done with current infrastructure. Recommendations drafted by the Economic Advisory Committee and Government Relations Committee of the ICAP were shared by member Economic Advisory Committee and power sector specialist Salman Amin during a stakeholders roundtable on Power Sector - A Way Forward hosted at ICAP here on Monday. Session was presided by Council Member ICAP Muhammad Ali Latif. Secretary ICAP Abdul Malik and Senior Member Technical Services ICAP Muhammad Owais Mukati were also present. Roundtable was attended by officials and experts from K-Electric, Energy Department Government of Sindh, Sindh Transmission & Dispatch Company Pvt. Ltd., SITE Association, Al-Meezan Investment Management, AKD Securities Limited, Arif Habib Capital Markets Pvt. Ltd. and other companies. 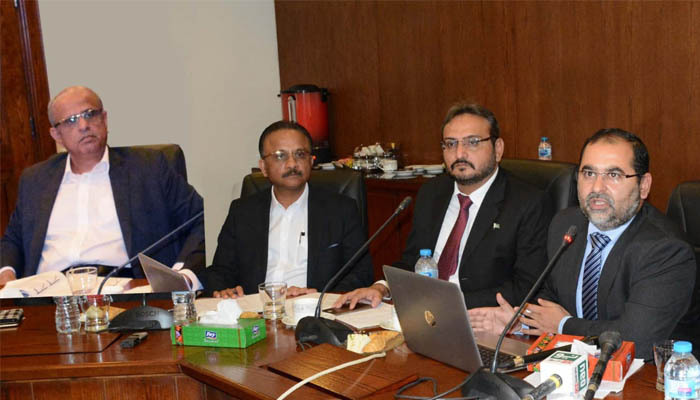 Sharing ICAP committee’s recommendations, Salman Amin told that production of electricity has been increased by 95 percent during last 18 years while distribution capacity was improved by just 26 percent in the same period. Current system of tariff is very unjust and exploiting to consumers. Consumers are suffering due to unsatisfactory performance of these DISCOs. DISCOs still wish more relaxation in losses rather improving their ill performance, he lamented. Salman Amin suggested that privatization of DISCOs in next four to five years should not be agreed at talks going on with IMF. Transmission and distribution business of DISCOs should be seperated in next four to five years, he recommended. Power sector is the most important sector in the economy of any country and have a huge impact on its GDP. Production units run under government administration are proving a burden on national economy as their production capacity has largely affected, he further noted. Talking about losses, he said that power theft cannot be stopped without support of provincial and district administrations. About CASA1000, he categorically said that it is not the need of Pakistan nor beneficial for it rather it will benefit Afghanistan and Kirghizstan. There is imbalance in government's energy policy and its planning causing increase in import bill. Situation will improve if government included ICAP Economical Advisory Committee's recommendations into its 100-day agenda, he added.